It has been a little while since Christopher has been at the mic of another discussion with a movie, but he has had to brace himself for something as crappy as Jack and Jill. The record-holder for winning the most Razzies in history (hint: it won all of them) and being probably one of the WORST movies I've ever seen, certainly didn't make for easy watching last night, but as with all bad movies, it is fun to rip into them. Which I'm sure is just what Christopher, the sarcastic, dry piece of witty imagination that he is, will do. If he doesn't want to gouge his eyeballs out, first. CHRISTOPHER: After going through an entire conversation with Safe House sticking a gun in my face, I think it's high time that I talk to the multi-award winning Jack and Jill. What an honour. So, Jack and Jill, how does it feel to have so many accolades to your name? 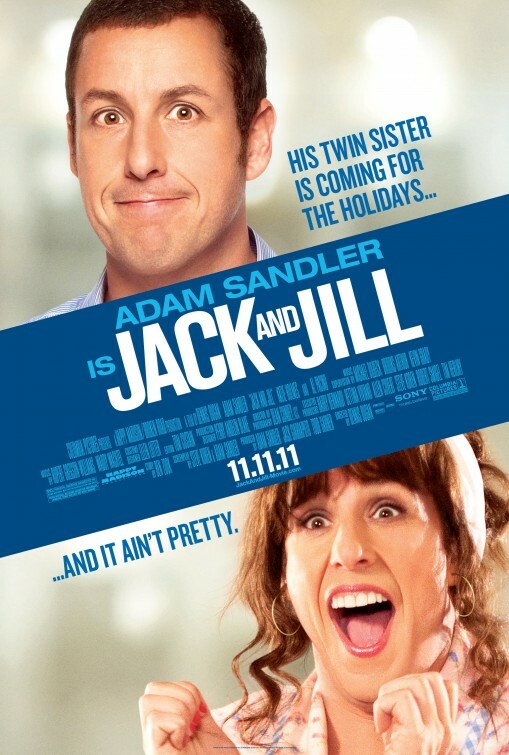 JACK AND JILL: It feels GOOD! C: Why do you feel the need to yell at me in a really high-pitched voice? I'm right next to you. JAJ: I just want you to realise how dumb you look because you don't have as many awards as me! C: That's right, I don't. C: No no, I have no shame. As you can plainly see, I'm a man being a man. You are a man being a woman. And also being a man. Both of which are really silly. JAJ: Silly?! You don't know the meaning of silly! C: Oh no, I'm fairly sure I do. If I were to look up the definition of 'silly' in the dictionary I have no doubts that I would find 'Jack and Jill'. JAJ: No you wouldn't! That's not possible! 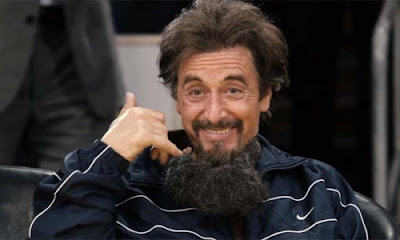 Al Pacino is one of my stars! C: And he calls himself 'Dunkaccino' in it. C: And he pretends to be in love with Adam Sandler dressed as a woman. JAJ: That is totally fine! I'm all for equality! C: So that's why you have a whole lot of offensive jokes to spurt out? C: Nope. They're silly jokes. JAJ: Your face is a silly joke. C: That was a silly joke. JAJ: You're a silly joke. C: Is that seriously all you can come up with? JAJ: Nope. I'll tell you a joke. Why did the cookie go to the hospital? C: I don't know, why did the cookie go to the hospital? JAJ: Because he felt crummy. C: Wow. You didn't just get that from Googling 'lame jokes'. JAJ: That's right, I didn't. But Googling 'lame jokes' is actually really helpful. That's how my script was written. C: Do you want to hear my joke? 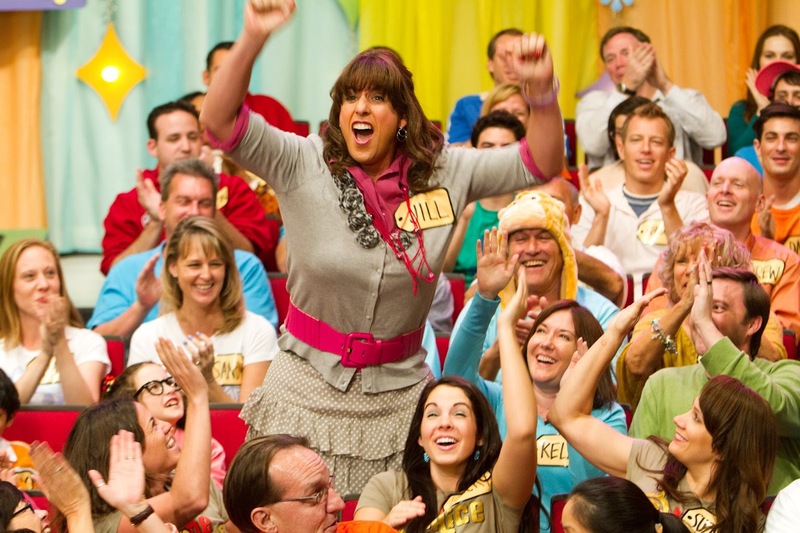 C: How did Jack and Jill wind up with so many awards? JAJ: Because I'm the best Adam Sandler film EVER?! C: Because all of the awards it won were Razzies! HA. C: Thank goodness, I found a way to shut Adam Sandler up. For five minutes. JAJ: That's My Boy is in cinemas now! Y'all have to go see it because no-one else has! The number of awful things they've done over the past couple years is just too high to be normal, right? I'm pretty sure they are. Which is sad! Because we got 21 copies of it at work so that must mean it is good. From the moment I read "It feels GOOD!" I knew this was going to be a great post. And it was. Fantastic work, I enjoy watching people rip this film apart. Can't believe I actually saw it in a theatre. That was a fun but depressing evening. Despite the film's awfulness, I maintain the final scene is a work of brilliance, and is almost worth seeing the movie for. Almost. Haha, I enjoy watching people rip it apart, too. You saw this in theatre? Poor you! And that final scene...good lord. Haha, well at least you didn't have to pay!